Perfume Shrine: Online Perfume Sales: What can I Do to Protect Myself from Fakes and Scams? Online Perfume Sales: What can I Do to Protect Myself from Fakes and Scams? The online world, auction or fixed price store, isn't as angelically created as we would have dreamt it. In short, scammers and consters are out there and are just waiting to pounce on innocent perfume lovers' hard earned cash and curiosity to try elusive (or not so elusive) things. When at sea, what do you do to avoid drowning? Learning to swim is counted among the basics and applying some common sense. That last part is the hardest, escaping even the most seasoned buyers', but the swimming techniques are a bit easier to master. In this Perfume Shrine guide we will help you along online shopping with practical advice which you can reference along the way. • Does the company offer a wide selection of perfume and cologne? This isn't always a conclusive rule of thumb, but it means that if there is some dissatisfaction you might have an easier time subsituting your purchase with something else. 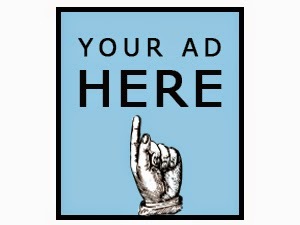 • Does the company charge a reasonable fee for sending you your purchase? Furthermore, does the shipping sound logical or exorbitant? Sometimes a bargain is not a bargain when the shipping talies up into more than the retail price. • What is their Return Policy? What if you're not satisfied with your purchase once it arrives? Can you return it for a full refund? Is there an actual brick-and-mortar address listed and a phone number, besides an email, to call and request assistance? For international folks, it's always a good idea to check that there is someone to help along in your own language (or at least in decent enough English) as well. It's also good policy to get familiar with what you're looking for before you start: Check the Internet for images of the perfume you want, check it out in an actual store if you can, read online reviews and seek info such as those posted on Perfume Shrine regarding frequent questions on perfume matters. For starters, you can check the site of Top Consumer Reviews for Perfume. Fulfilling the above criteria (and with no affiliation) we have heard good things about: Scented Monkey, Fragrance Emporium, Fragrance Net, Beauty Encounter, Scentiments, FragranceX and Strawberrynet.com. Not so good scores are posted about The Perfume Spot and Perfume Land, in terms of difficulty of searching and slow delivery or lapses in stock inventory. (These are all easily Google-able companies). There is a special notepad on Makeup Alley, compiled with the input of independent consumers to reference good (and bad) experiences with online stores. Regularly updated. Check it out on this link. Extreme caution is to be applied when dealing with 1stPerfume.com and its sister site Overstockperfume.com (both located in New York), according to the testimonies of many perfume enthusiasts posting online on fora. The service is lacking and refunding is spoty to say the least. 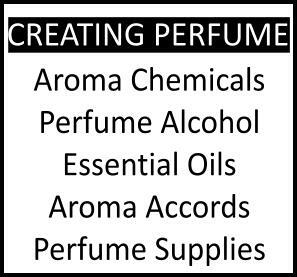 Plus often rare fragrances appear as being in stock, while in truth they are not, but you're only notified after you have gone through the purchase! By then it's an ongoing struggle to get them to refund you, as people who have showed up in person report. Please note that Parfum1.com is a seperate business than the above questionable ones and does not have any shady politics behinds their sales. Their international shipping however is a bit steep lately. 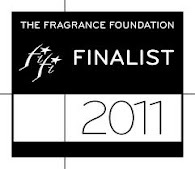 Sites which are reliable and storing rare fragrances, although at not so economical prices, include nellbutler.com. Niche fragrance selling sites are in their vast majority very reliable for obvious reasons: Aedes, Luckyscent, Ausliebezumduft, the PerfumeShoppe, Les Senteurs, Senteurs d'Ailleurs are all great (they're also eminently Googleable). Top-drawer choices include The Perfumed Court, The Posh Peasant, Reirien.com, Flacon Ambaric, Eiderdownpress.com. It would be most logical to use these to get hold of something you can't get anywhere else or some vintage you have been curious about but don't want to risk investing in a big or bogus bottle in an online auction. The Wikidot Scentsplits site is a seperate case: it's not a business, contrary to all of the above. Rather a community of members who also belong on several perfume boards (including Makeupalley, Basenotes and Perfume of Life -which in themselves include some Shop /Swap function for their members) and who "split" their fragrances into smaller portions which they sell to interested parties in order to subsidize part of their perfume purchases. The process thus relies on an honour system, as it's conducted through private emails with no feedback or token system taken into account. However, most members are very reliable and they provide their boards' username where they participate as swapping or selling partners so as to convince of their good intentions and proper conduct. Proceed with common sense and you won't have any problems. It's also good advice to get them to also provide a regular email address for further discussion, apart from their username for communication just on the boards. Ebay is a completely different proposition than etailers. 1.On the one hand you have mainstream perfumes which can (and often) are counterfeit . 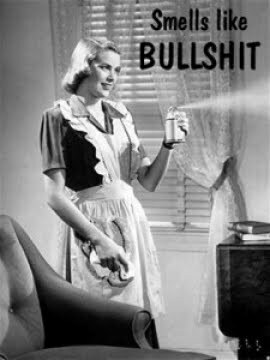 It's estimated one in ten perfumes sold as genuine is actually fake! Most usually these involve best-selling fragrances rather than less popular ones (makes sense!). Since these are cheaply made in someone's tub in China and packaged in look-alike premanufactured packaging, the limited editions, gift sets and obscure flankers of well-known perfumes are highly improbable to be faked; it doesn't make sense to devote that much energy on the faker's part. Best-sellers is where's at it. Most niche perfumes are relatively safe too for the same reason, although you might want to be wary on bottles which are splash-on or have screw-off tops to refill: they might be "cut" with perfumer's alochol by uncrupulous sellers (This might be why the newer Lutens bell jars come sealed with plastic around the neck!). "Testers" often come under suspicion from beginners, but on the contrary they are invariably a very safe purchase at an advantageous price: They are simply sold by the company to stores in order to have them on the counter for customers to sample and so are usually non boxed/non-capped or come in plain packaging. They absolutely contain the EXACT same juice as the regular product. If you're not especially keen on the full packaging, they're a great choice. Most common wares faked include Chanels (Allure -especially the 35ml atomiser-, Chanel No.5, Chance and Coco Mademoiselle) as well as Diors (Hypnotic Poison, J'Adore and Miss Dior Cherie), Cool Water, Aqua di Gio for men, Light Blue, CK Euphoria, DK Be Delicious and other assorted best-sellers; and -funnily enough- Creeds, either belonging to the grey market or being outright fakes. Especially Green Irish Tweed, due to its popularity. Basenotes community members vouch for Creeddirect on Ebay though, saying the product is genuine (NB: we're not affiliated). Thankfully there are people who have composed Ebay Guides to steer you away from the counterfeits: Here is a general guide on fake designer perfumes, a guide on how to spot fake Chanel Coco Mademoiselle with photos, another one on fake Chanel No.5, another on spotting fake Dior, specifically Hypnotic Poison. And here's a list of the most often counterfeited designers and brands. Avoid auctions or Buy it Now formats which have stock photos in which the seller refuses to send more info or more pics on the actual bottle they're selling, when asked. Look for the details: The shrink wrap should fit cleanly around the box, the cellophane be clear and unwrinkled and the glue applied carefully and evenly. The packaging should include the fragrance’s name, the company that made it, and a list of ingredients. Alarm bells should go off if there are spelling or punctuation errors, duplication of words, or grammar errors. Arabic or Japanese writing however is totally legit: it's genuine product for the Asian markets, the Middle East and Japan being huge buyers of western perfumes. 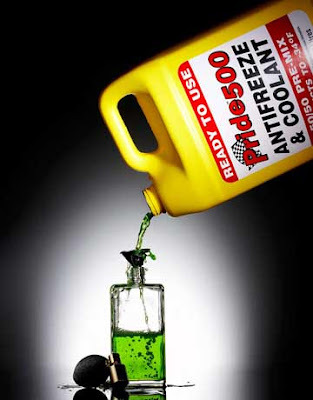 The actual juice of a fake might be stale-smelling, sour or lasting only a nanosecond compared with the genuine stuff. It's best to compare with store-bought when in doubt and out of sanity, then toss. Asian markets such as China and Hong Kong often don't even attempt to hide it (just Google "counterfeit Chanel") and New York or Michigan locations also sometimes are sources of fakes, so beware! And you don't need me to tell you not to buy prestige perfume off a street stall, do you? 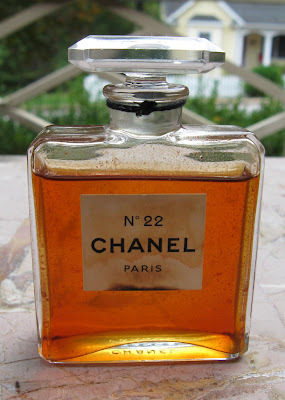 2.On the other hand, Ebay is often for many the first port of call for vintage fragrance sleuthing. This has its inherent dangers: Vintage fragrances (especially very rare ones) just can't possible be compared to anything to ascertain their authenticity or good upkeep. Even if you have a sample from an online decanter, ask yourself (and them): Where did they source it in the first place? In cases where there no doubles to compare in the whole wide world (see Iris Gris by Fath for instance), no one can know, not even an expert! Besides, not two bottles of the same vintage have been kept the same way, thus resulting in slight differences. You see the complications! Not to mention that there are a few unscrupulous guys who buy empty vintages and refill with either modern juice at a huge mark-up or who knows what else, relying on perfume lovers' enthusiasm and desire for a rare possession/investment. One of them has become infamous through an expose on Perfume Posse in spring 2007. He has since changed account usernames, so there's no use to name names. Suffice to say, his location is invariably Pennsylvania or North Carolina, the auctions are worded emphatically including the original date of the fragrance's composition (but no info on when the specific bottle was approximately made thus misleading) and the colour of the juice inside is invariably a deep reddish-maroon (if you notice it once, you will forever notice it in all his auctions!). He takes care to have not completely full bottles, allowing for "natural age evaporation" and -coincidentally- most of his bottles are splashes (some with elaborately faked labels). He also seems to have an endless supply of specific rare things, especially Carons (Farnesiana and Tabac Blond extraits are his specialty, as well as older classic Guerlains in a pleiad of incarnations and coveted Cuir de Russie, No.22, Bois des Iles and super rare No.46 Chanel extraits in collectable bottles). His feedback is 100%, reportedly through either terrorisation of buyers or via buying off accounts with an already stellar feedback and continuing the scam like a bee hoping from flower to flower. Of course he's not the only one, but the rest are not as elaborate, thank God. If you have already been scammed, do your duty, ask for a refund, report it if there is serious trouble from seller. Be vocal, there is no legal background that doesn't allow honest feedback on consumer reviewer pages and the con artists rely on bullying to have people silenced. You can also file for Internet fraud. It's worthwhile to mention that not all "weird" bottles are the product of an internet scam nevertheless. Some are just innocent mistakes through ignorance or very limited editions with no glamorous launch. On this article we have highlighted some odd occurences which are clearly not intentional scamming. But in general, if it sounds too good to be true, it definitely is! Ask questions on the perfume fora or on this blog and you will receive good advice from people who have collected perfume for a long time and can steer you in the right direction. In the end, it's all proportional and if some of the pleasure for you is the adrenaline rush, you might want to risk it just a bit. Juice aging and different concentrations (EDT vs. EDP vs.EDC vs.extrait) may also produce different results, so don’t jump to conclusions immediately! And don't get paranoid if you only paid 17$ for the item and it turns out to be bogus. Chalk it up to a good leason learned and move on! Hmmmm..... I've never had any problems at all with Parfum1, whereas Overstockperfume.com does seem to never have anything in stock. TRUETRUETRUE to all of it. I loved the shout out to the ladies at the TPC and Abigail and Dea. I have ordered from them all and been very happy about it. I have only been scammed once so far on evilbay, my vtg. Diorella seemed watered down somehow. But it didn't cost me a arm and a leg so you live and learn right? I want to make a shout-out to Peggy at cherishedmemories on evilbay and that she has always sold genuine lovely vintage perfume to me and you can trust her. (NA - just a satisfied customer!) And thank you E for this update on what to do and not do and a reminder that "It's hard out here for a (perfume) pimp!" :D ha. But we manage and love it all the while. Cheers! Excellent, excellent post, E.! And I heartily agree with your assessments of the e-tailers - favorites being Reirien and Beauty Encounter. And sorry to say, yes, I learned a hard lesson with Perfume1. I have been extremely fortunate on eBay, and have dealt with some lovely sellers as my nearly full refrigerator will attest! This post will be bookmarked - thanks ever so much! I've bought from Parfum1 a number of times and never had a problem. I've had great customer service from Beauty Habit, too. Not affiliated with either. EXCELLENT informational article, E! I never buy retail if I can help it, preferring to buy testers and discounted online, and vintage on ebay, so I've been racking up some experience in exactly the kind of purchases you're discussing here. You're spot-on. I have ordered successfully from Scented Monkey, Fragrance Emporium, Perfume Spot, Scentiments, and 99Perfume. I'm also fairly certain that I bought something from Parfum1 and the purchase was fine, though I can't remember what it was exactly (Cuir de Lancome, maybe? Hanae Mori Haute Couture?). I live in the US, which might make a difference, and also what I'm usually getting online is something recently discontinued, where it's reasonable to find leftover stocks of merchandise no longer being sold at retail. I would be super-cautious buying anything subject to counterfeiting, but I doubt anyone would bother to counterfeit the now-defunct Crown Perfumery Crown Bouquet, which, come to think of it, may have been what I did buy at Parfum1. Have never had a whit of trouble buying decants, and I have many, so that's a testament to how good a buying program Scent Splits is - as well as TPC, Posh Peasant, and the like (I love those people). Vintage ebay purchases have generally worked out for me, with the occasional bottle having gone off through storage issues. I did have one bottle of No. 5 parfum turn out to be colored water, but the seller (a thrift store) refunded my purchase and resolved to check any future perfume bottles for smell. And one small bottle of No. 19 edt purported to vintage, but turned out to be (legitimate) current version - not what I wanted, yet not a disaster either. Vintage bottles are a total gamble, and the buyer should approach it as such, never "betting" more than he or she is willing to lose should the gamble fail. Again, thanks for this, and I am going to post a link to this article on my blog as it's such valuable information! Everyone at Make Up Alley thinks that you got the names of the perfume sites mixed up. The people at Perfume1 are the good guys and 1stPerfume is the fraud company. Can you do some research and maybe correct this as it would be sad if we took your advice and order from the criminals. Very informative article! I know of a few people who never received goods from the UK's Perfume Emporium - and struggled to get their money back - and as you advise I am always wary of any site without a proper telephone customer services. I got lucky on Ebay with the Creed I once bought. I was wary of such a bargain and googled the seller who turned out to be a beauty editor at a publisher of women's mags, so you can infer she has access to lots of free (genuine) product. I think you meant 1stPerfume and not Parfum1. Parfum1 are really excellent. Good CS and great prices. With the occasional discount. I haven't had any problems with Parfum1, they are lovely over the phone, too... Are you positive it's them? I even did a search of MUA boards and there is nothing negative about them there. This article is informative and makes some good points. As an international shopper my favorite sites are either the ones in the EU or American sites which offer reasonable shipping. I like very much FragranceX.com as they do free international shipping and the products are great. In Europe, I looooove Cheapsmells.co.uk as prices are excellent and they offer fast and inexpensive shipping. I think there are many good sites out there and it takes some searching around. Thank you for an excellent and helpful post! I've had only good experiences with Parfum1--and I love their occasional 20%-off sales. My only disappoinment was with Parfums Raffy. I paid for a fragrance there and received an confirmation e-mail. Having received no shipping notice after a week or so, I emailed customer service: no reply. After I called and left a message, a nice gentleman called back to tell me that the fragrance wasn't in stock, but that my credit card would be charged when it became available. Never received the fragrance, although it continued to be listed as available. Just a fluke, maybe, but it's made me wary of buying from them again. I too had a little snafu with Parfums Raffy. They had a Creed scent... Vanisia in the small 1 oz. bottles listed for sale. I bought it online and then they emailed me a few days later to let me know that that size was not in stock and that I could buy the bigger size instead. I was ticked off. I don't want the bigger size and I emailed them letting them know that and also asked why it didn't say out of stock when it clearly was. I don't care for the practice of Bait & Switch and that's what I felt was going on there. By the way, the 1 oz. bottles have been discontinued, so I was thrilled that Parfums Raffy had some available..... but sadly, that was not the case. A terrific and very informative post, as usual, and one that I will definitely bookmark for future reference. Like others, I have only had good experiences with Parfum1 the several times I've ordered from them. FragranceX is another favorite - good prices, good product, fast shipping. I've never needed to contact Customer Service for either. Good to know about the positive reviews for Scented Monkey, I will have to give them a try. Thanks guys for the correction! I was posting a pre-prepared post long distance and have now corrected the mix-up. Having no personal experience of either, I will take the members' word for it. I appreciate all your feedback for other sites which I may have forgotten about: keep them coming! I just want to correct my comment - it was 1stperfume.com that I had my problem with! I wrote down their address to be able to identify aliases. It's too bad for parfum1 that the names are so similar. i've ordered from 1st perfume several times - never had a problem. they don't do a good job of keeping their inventory updated online, but you can tell before you order whether or not they have it in stock. the waste of time is you having to click on the individual perfume picture to find that out - wish they would remove those they don't have available. perfume emporium's site i will never visit again - it crashed my computer with its cookies. regarding ebay - just bought a set of lanvin extraits, and one was syrupy and the other weirdly fresh. can't tell if it's fake, because i only have the edt of the one that appears so strangely fresh. it's close, but not exact. could be okay and i got a deal. but i wonder. other ebay purchases have been just fine, with the exception of one scammer early on who claimed to be selling jicky parfum when it was only pine-scented water. we worked that one out. eurofinegifts is a good source for vintage scents - i've bought a couple from him, and they've been fine. i prefer to buy my vintage in person, but since it shows up so rarely around here, it's hard. i did luck out a few weeks ago, finding a hoard of old nina riccis - vintage l'air, capricci, nina, and bigarade. that was fun. Thanks so much for this very useful article! I'm a lover of vintage fragrances, so it will definitely be useful to me now and again. Great idea for a post! Thank you for all info. For vintage on ebay: my personal way to find out if there is at least a good intention to sell the real stuff is to check the other items the person sells. If I found items like old lady clothes, ceramic and pottery, old shoes etc then I would go for it. The juice might be old and too much exposed to light and heat but at least the intention is good. But if I found many others old perfumes, minis mostly, I wouldn't go for it. Has there been the poignant enlarge in the series of price necessary commercial operation upon vacation your e-commerce web site to buy your many appropriate online sales products or services? I admit that I do love fleabay. But, well, I sorta collect obscure things that nobody would bother to fake. And yeah, it's the part of the thrill to get something exciting to those in the know (me, to be exact) for $17, which happened to me quite a few times. I'd also like to add that I've had the very best experiences with ReiRien.